In 1880 Panayioti Kastrisios “FAVAS” returned to Kythera from Smyrna and settled in the family home in Mitata. Over the years he extended it with the addition of a cafe and an oil press. 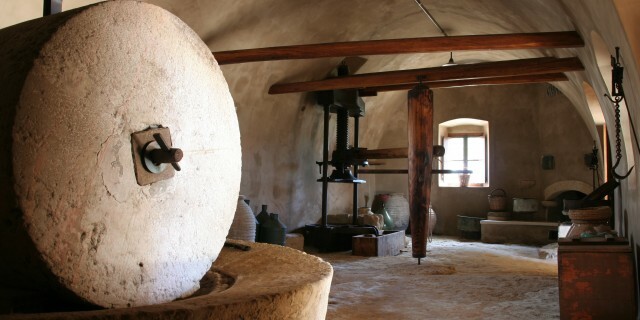 Fava’s Oil Press has been fully restored and todαy remains an exceptional example of the olive process prior to the introduction of machinery. The home offers an insight into a unique and authentic example of village life as it was 100 years ago. Beneath the rambling vine in the courtyard of the cafe the visitor can savor longstanding flavors and traditional treasures the island has to offer.